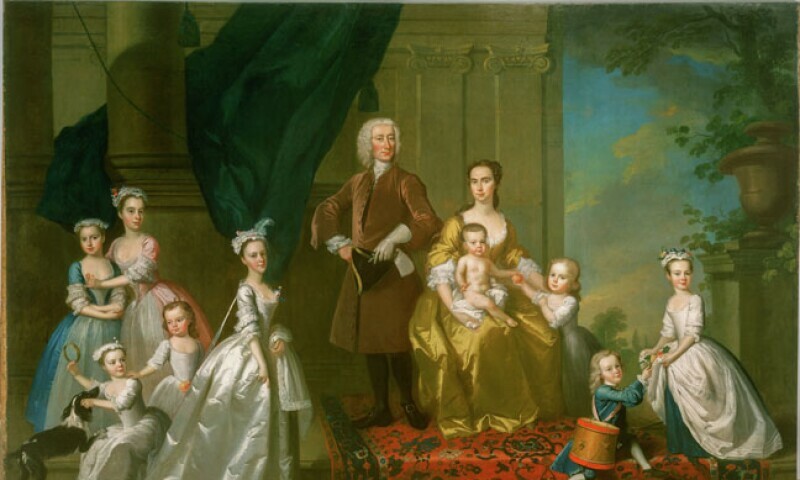 Thomas Hudson, The Radcliffe Family, about 1742. Oil paint on canvas; 114 1/2 x 171 3/8 in. Gift of the Berger Collection Educational Trust, 2019.7. Treasures of British Art: The Berger Collection showcases about 60 paintings gifted to the museum in 2018 by the Berger Collection Educational Trust (BCET)—the largest gift of European old masters to the DAM since the museum received the Kress Collection in the 1950s. A chronological selection of works ranging from the 1400s through the late 1800s will present 500 years of Britain’s rich cultural history through the stories of its people, captured by the enduring brilliance of artists of the time. The exhibition will feature devotional images, portraits, landscapes and sporting scenes by the greatest artists of the British School—including Thomas Gainsborough, Thomas Lawrence and John Constable—as well as non-British artists who spent significant time in Britain, such as the Flemish artist Anthony van Dyck, and American artists Benjamin West and John Singer Sargent. This exhibition presents groundbreaking results of recent research conducted on the collection’s renowned group of portraits from the Tudor era. A related academic symposium will be held at the DAM in September 2019. An accompanying catalog is available in The Shop at the Denver Art Museum and online.